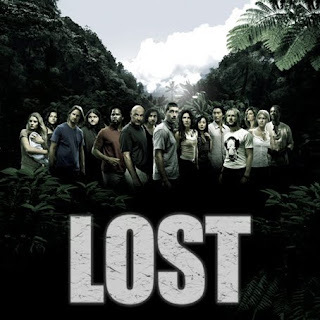 So I broke down and actually watched the season premier of LOST on ABC. I figured it was a good enough place to start. They gave me a recap of the first five seasons and, quite frankly, it doesn't seem like I missed much. Alright, I missed everything after season one, episode two which I just watched the other week under duress. But judging as far as I can tell all I really missed was all the surprises and bizarre twists I was already well-aware of. As it turns out, I'm not expecting to watch an episode until the series ends now, because I've got a pretty good hold on things. Everyone would get along much better if they all just talked openly to each other. And did anyone else notice that Mike's first line in the entire show was screaming, "WALT!?" Hilarious. I said it at the time and I'll say it again is what I'm thinking comes to pass: I always win at LOST. So yeah, I watched the new episode with the clear mind of someone who doesn't have all kinds of old ideas or biases or, you know, respect for the show muddling around his head. And the result is this: I know what's going on in LOST. Probably. First off, apparently it's a "Back To the Future" timeline. The nuke made a world where no plane crashed in The Island, but then no one was their to set off the nuke after going back in time, to causality paradoxes are avoided by splitting the difference between two parallel branch universes, one valid in having a destroyed Island but the other still valid in containing the original versions of everyone. The Island can exist outside normal space-time, like a Delorian, so sure, why not. Reconciling the two in a very "Donnie Darko" moment is probably the key to something in the last episode. I really don't care until then. The Island is the Garden of Eden, part of this world and not. Women die in agony trying to give birth there because Eve was cursed with pain in childbirth and cast out before she conceived. Humans have been allowed back on the island consistently and only by the influence of Jacob. Jacob is the angel with the flaming sword, who guards the gates to Eden to prevent anyone getting back in. His allowing people back in is likely what gives his Nemesis leave to bend the rules and take form as Locke, to bring about Jacob's murder. Jacob's Nemesis was just revealed to also be the smoke monster, a black, amorphous cloud of death. Nemesis also claims that unlike the real Locke, all he wants to do is "Go home." Jacob's nemesis is Samael, the Fallen angel. Yes. Drink it in. The smoke monster is the devil. Except in Jewish folklore Samael was the temptor and seducer but also a heavenly prosecutor in matters of will and sin, as well as the angel of death. Yes he was fallen, but he was still an agent of God's will and a servant. I'm going to crew with your head as bad as the writers of LOST. All of that is true, but it's backwards! Samael was also supposedly the angel who wrestled with Jacob! All the relationships are the same, but reverse it! What guards The Island and punishes mortal trespassers? The smoke monster. Who is the faithful servant of God despite what he is tasked with doing? Samael. Who wanders the mortal world and interferes with human affairs? Jacob. Who is stuck on The Island Paradise forever? The Guardian. The Accuser serves God in white, despite what humanity's made of him, while the Guardian of the Garden has grown resentful in his duty barring him from reentering heaven. Having defeated Jacob on Earth, the guardian can now kill all the humans on The Island and then manage to return to heaven some way, likely by destroying the temple patrons and all of humanity or something, ending his assignment and bolting off the mortal plain. Basically, LOST is Kevin Smith's "Dogma." To be fair, Jabob and Nemesis as Lucifer/Guardian are pretty interchangeable. Either pairing would give a good enough motive to go home and a searing hatred of humanity. So no one yell that at me. The simplest answer is just that Jacob IS the guardian and had decided to let people back in because he thinks they're ready. But after Matrix: Revolutions I'd rather bet on overly religious than only slightly less religious.